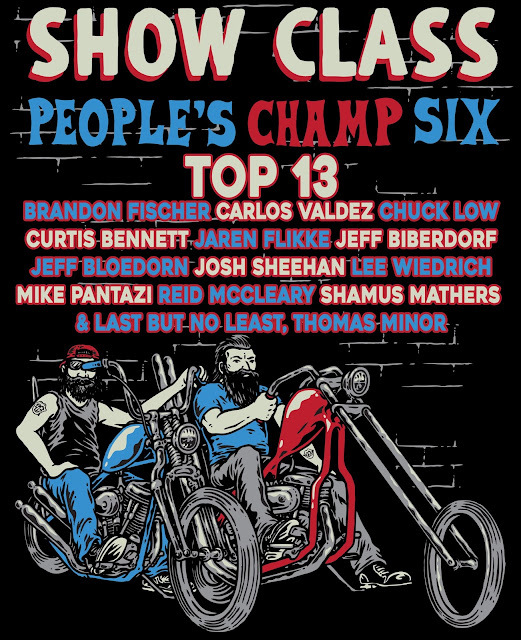 The Show Class Magazine People’s Champ heads into the sixth year, and the competition is as intense as ever. Just like in past years, 25 garage builders are given the chance of a lifetime. Not only will one builder display their righteous build next to the Born-Free Invited Builders, but it also gives all the builders an extra push within the industry. Past People’s Champ alumni include Christian Newman, Daril Borbal, JP Rodman, Mike Nielsen, and Bobby Middleton and they continue to build stellar motorcycles and parts today. The People’s Champ has also introduced us to talented folks like JJ Rides, Louie and Norman Hartley, Johnny Branch, Elliot Grosshans, Dave Herr, Chris Graves, Ashley Mitchell, and the list goes on. Each person brings their fresh and non-conformist style to the table, which is what makes the People’s Champ builds so unique. Please take a moment to meet this year’s builders and cast your vote at the bottom of this article. Your vote will help choose the lucky thirteen to move to the next round of the competition. The polls are closed. Check below for the results! 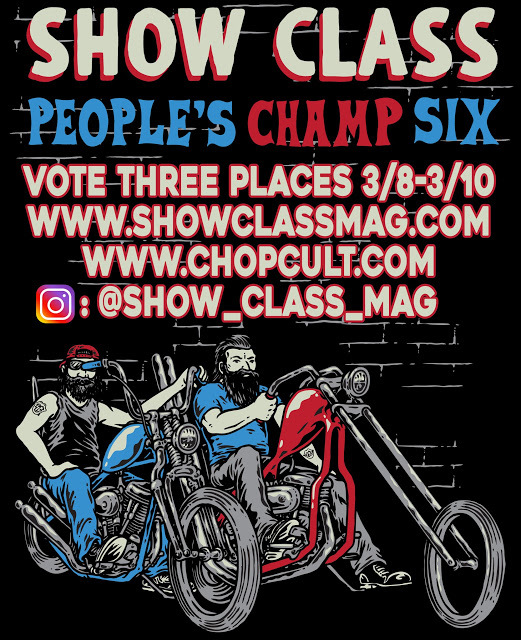 I would like to thank Justin at Show Class Magazine for allowing ChopCult to be apart of the voting process and for giving these guys a platform to showcase their talent. We would like to congratulate the Lucky 13 for moving forward and thank YOU for voting. We'll see you at Cook's Corner and Born-Free! Be sure to follow Brandon, Carlos, Chuck, Curtis, Jaren, Jeff, Jeff, Josh, Lee, Mike, Reid, Shamus, and Thomas to watch their builds come to life. As a general rule I don't like Canadians but Curt's build is unreal. True craftsmanship.